Composed by M.Legrand. 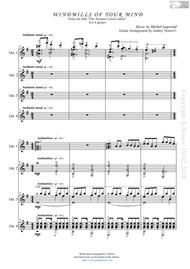 Arranged by Arranged for guitar by Andrey Nosov. Pop. 8 pages. Published by Andrey Nosov (S0.309611). 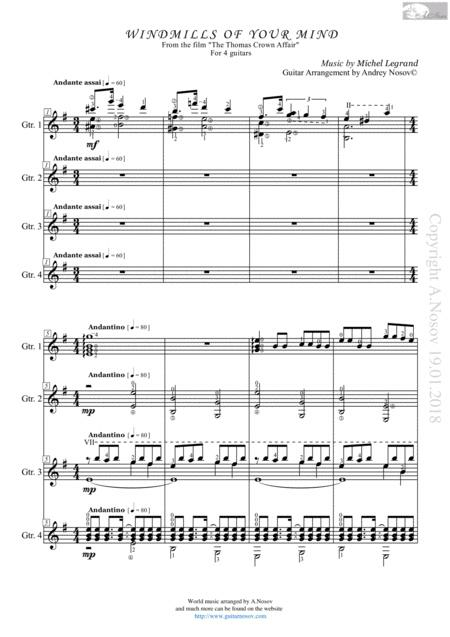 Sheet music for GUITAR ENSEMBLE (8 pages PDF + Link to YouTube).